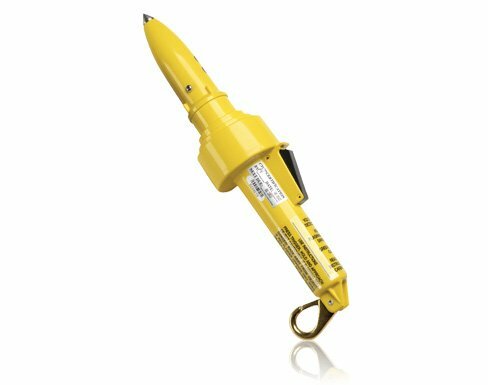 The High Voltage or Power Detector Pen is a proven life-saver, with more than 20 years of service in telecommunications outside plant and power utility applications. The high voltage detector detects ac and dc voltages through a long-life carbide tip, which is protected by a plastic cap when not in use. To use the high voltage detector, you simply place the carbide tip on the object in question, press the magnetic trigger, and observe the LEDs. If the green LED illuminates, the surface being touched is free from electrical hazards. If the red LED flashes, dangerous voltage is present. Voltage Detector Kit Includes Voltage Detector Pen, probe cap, storage bag, temporary bond, ground cord and handbook. Voltage detection essentials for keeping outside plant technicians safe: This white paper gives you tips for selecting and using the right tool on the job.